1. National polls don’t matter. They’ve never mattered and the media should stop using them. 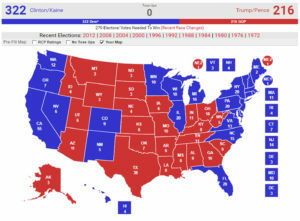 US Presidential elections are decided by state votes, whoever wins the most electoral votes – each state has at least 1 and the number is based roughly on population – wins the Presidency. 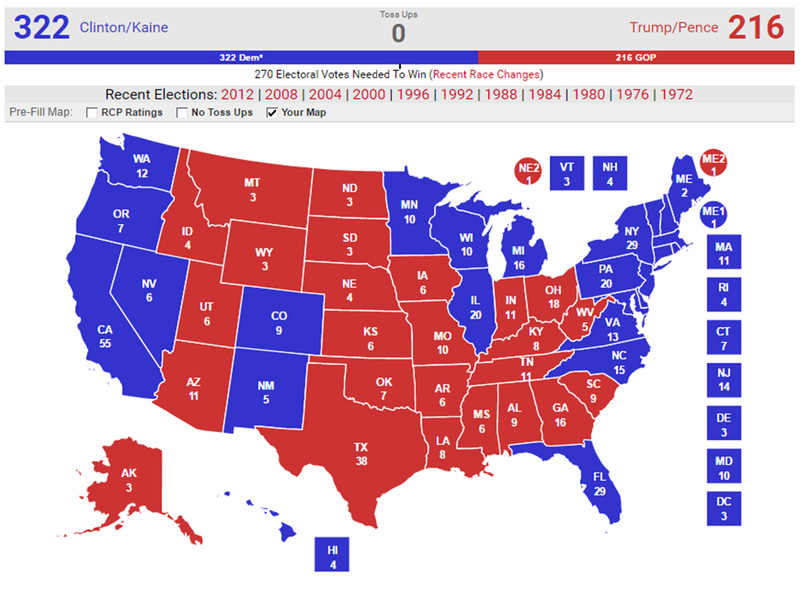 Hillary Clinton will easily win California and its 55 electoral votes. That number – 55– comes from the total number of Representatives and Senators the state has, with the former being based on population determined by the most recent census. California has the most EVs because it has the largest population, while North Dakota has 3 EVs because hardly anybody (by comparison) lives there. It takes 270 EVs to win the election.